Uwe-Karsten Städter literally keeps the company running. As the Member of the Executive Board for Procurement, he has the major responsibility for ensuring that assembly workers in the Porsche engine plant have the right parts to build a powerful drive system for the 911, that painters in the body plant have the right coating in stock to cloak the Cayman GTS in its dark red outfit, or that the designers in Weissach have the equipment needed to launch the next generation of sports cars. In principle then, Uwe-Karsten Städter brings the work to Zuffenhausen and Leipzig, to Weissach and to all the other company locations – work for the more than 22,000 employees of Porsche AG. Städter spends over seven billion euros per year in order to create the conditions that allow some 200,000 shiny new sports cars to roll off the assembly line at the end of the production chain. Working together closely with all the other departments, Procurement also has to sound out the precise requirements to put together the perfect supply of raw materials – and in an innovative company like Porsche, this calls for an active buyer at the head of the Procurement department, who is also a good networker and a creative co-designer. In fact, someone just like Uwe-Karsten Städter. Since April 2011, the son of Wolfsburg has been a Member of the Executive Board for this department, which was first created when he took up the post and is therefore the youngest department within the Executive Board of Porsche AG. 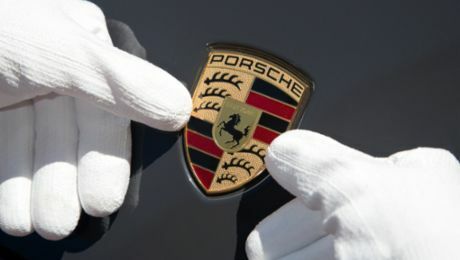 This restructuring is a consequence of two factors: firstly the rising complexity due to the increasingly international nature of procurement markets, secondly the growing importance of the purchasing assignments at Porsche. The new department plays a decisive role in the implementation of the company’s strategy 2018, with its focus on value-creating growth. The volume of Porsche procurement alone has in the meantime grown to match the entire company turnover of ten years ago; just under 400 employees now control more than 60,000 purchased parts in Städter’s department. “With a production depth of 20 per cent, Procurement at Porsche makes a direct contribution to returns and hence to the company’s value-creating growth,” Städter explained. Uwe-Karsten Städter has a passion for purchasing – and has been faithful to the automotive industry for many years. A qualified industrial business administrator, he has been part of the Volkswagen Group since 1974. After a series of management positions within the Group, he was appointed Head of Group Procurement for Electronics at Volkswagen AG before moving to Porsche in 2011. His many years of experience in Wolfsburg means that he is ideally suited to liaise between Volkswagen and Porsche. Städter has “made a substantial contribution to creating the integrated automotive corporation with Volkswagen and thus set the course for a successful future of Porsche AG,” said Dr. Wolfgang Porsche, Chairman of the Supervisory Board of Porsche AG. With such discerning customers and such high-value products, procurement has to pay particular attention to ensuring the quality of the parts supplied. Städter’s task is to communicate the high quality aspirations of Porsche to suppliers and then consistently demand adherence to these standards – even over several levels: in order to optimise sub-supplier management, Uwe-Karsten Städter pursues a policy of maximum transparency. In return, Städter offers his suppliers fair purchase prices and lasting cooperation: “long-term supply relationships pay off, rigid price setting does not. We strive to achieve a close working partnership with our suppliers.” In addition to quality, Städter’s department also has to consider the aspects of continuity and punctuality. Yet a good quarter of purchases are not destined directly for production. The right parts and partners also have to be found for office equipment and software, exhibition stands and construction projects. And the increasing digitisation of the automobile – with a view to the connected car – presents entirely new challenges for Uwe-Karsten Städter’s department: creating an application with genuine added value means bringing accomplished app programmers together with local data service providers in order, for example, to supply users with the latest information on the availability of parking spaces. This is yet another area in which Städter has to remain up to date so that he is able to react precisely and offer customers the best service. Uwe-Karsten Städter is well aware that this would all be impossible to manage without an excellent team. “Team-orientation is extremely important for me,” the top manager explained. “I aim to motivate the entire team and keep every individual on board.” Tough but fair is how he describes his own personal management style. “I adopt a consistent approach but do focus on the human level and appreciate plain speaking.” Consequently, as he clearly points out, what fascinates him most about Porsche are the extremely proud and committed employees. And that is where he has simply been lucky with his employer in Zuffenhausen – after all, his employees are something that not even Uwe-Karsten Städter could have procured. Uwe-Karsten Städter was born in 1956 in Wolfsburg, where he also completed an apprenticeship to become an industrial clerk at Volkswagen. He has been faithful to the corporation ever since: after further training in industrial business management, he spent time working in areas that included, the procurement of assemblies, metals and electrics, and from 1997 was head of the department for the purchasing of assemblies at Volkswagen; from 1999 he spent three years as head of chemicals procurement at SEAT in Martorell. In 2002, Städter took over the management of Group Procurement for Exteriors. Before moving to Porsche in 2011, he was head of Group Procurement for Electrical/Electronic systems at Volkswagen AG. In 2013, the Supervisory Board of Porsche AG reappointed Städter for a further five years. Uwe-Karsten Städter explains what makes the new 911 so special in terms of components.